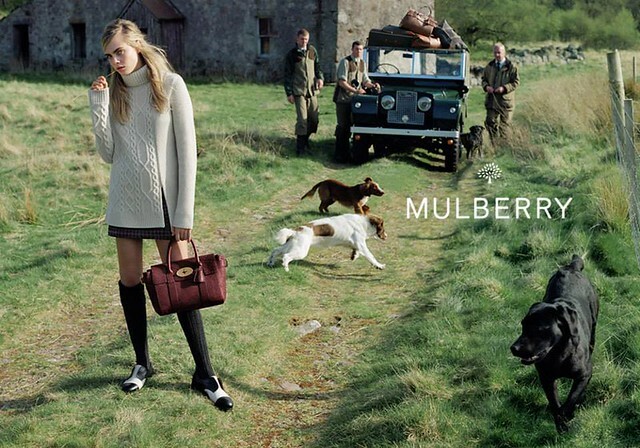 Cara Delevinge once again pose for Mulberry. The English brand is famous for its leather purses. Oh dear, of course I would love to get one but what got me hooked on this time were the outfit for their 2014 F/W ad campaign. Cara wore a pair of oxford and the "just-below-the knee" socks in each and every shoot. Unlike other high-end fashion houses, the models tend to prefer high heels over flats. However, what Mulberry does this time has conveyed a really important message, you can still be chic when you're wearing flats. Plus, you got the comfort. I know it's still too soon to talk about F/W but those mini skirts and sweaters remind me of the cozy fall and winter. It brings my mind to leave the sweaty, stinky summer, which I don't like. If you ask me to pick out the least favourite of both the weather and season, it'll definitely be summer. Yet, I can imagine myself snuggling in a chunky sweater, showing a little bit of figure (those long legs...) with a cup of hot chocolate. Moreover, the green country background of the campaign creates the musky, fresh and relaxed Saturday afternoon sense of environment. The outfit combinations are approachable, comfortable and suitable for school and office. 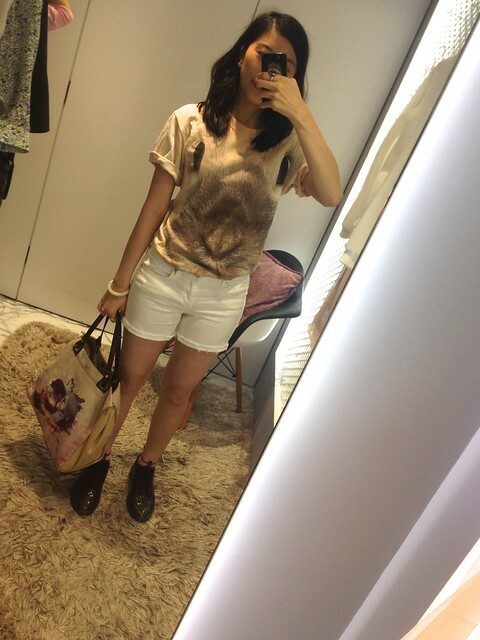 It's inspiring and I'll definitely wear something like this during F/W. A dream is something reachable and achievable in a way with determination. Am I persistent enough to be a hard-worker to fullfil my dream? Will I regret someday if I don't see myself seriously? Gearing up and waiting for the opportunity. Wish to see myself as a HAPPY person. Good Luck. Never dare to dream. Chanel is always the classic high fashion house that every girl and woman dream for and so do I. The Boy Bag comes in three different sizes: small, medium and large. This bag distances itself from the classic Chanel 2.55 bag. I love this even more than 2.55 since it has a leather strap combined with chains. The leather strap sits on your shoulder without hurting or leaving marks on your skin. 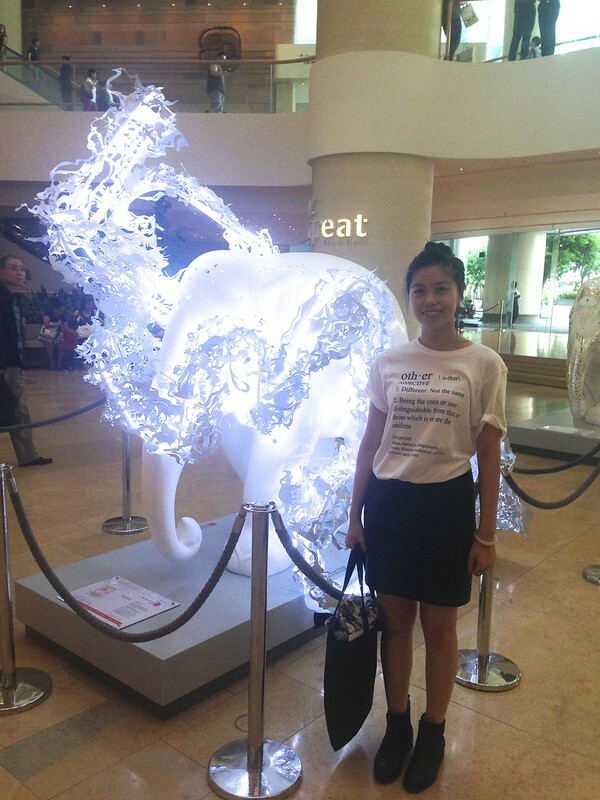 Natalie Gibson, the head of prints of Central Saint Martins, is one of the lecturers of The Travelling Fashionistas. As an expert in the fashion field, she insists that preserving a culture that could be disappearing and dying out is essential in this fast-growing technological world. Designers need to strike a balance between technology and the traditional method by always keep drawing. Traditional way should not be forgotten while the amazing technology nowadays offers should also be embraced. Designing is for personal development, it's not about copying. She prefers hands-on approach rather than relying too much on technology.Therefore, she encourages designers to keep a sketchbook in their pocket all the time. Its function is like a diary that allow designers to practice. Sometimes, it's easy to think too much while drawing. Then, draw with the hand that you don't normally use. Designing is also a process of turning the designer's personality into inspirations of their design. It is rather personal but that's the difference between each individual designer. 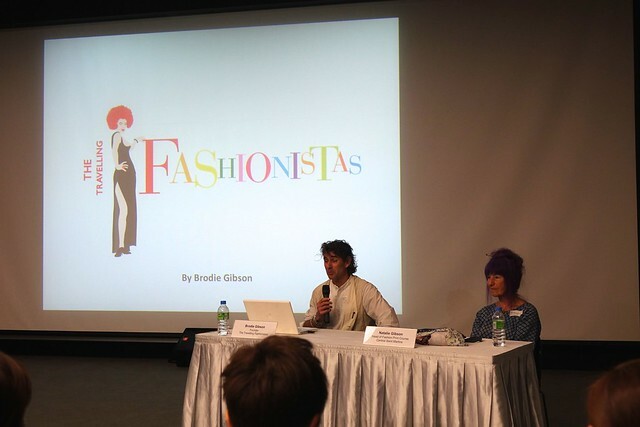 The Travelling Fashionistas are going to host various lectures in Hong Kong Design Institute during August. Let's talk about hair stuff today. They're dainty but useful. The GHD black clip works so well by avoiding my bangs falling off. 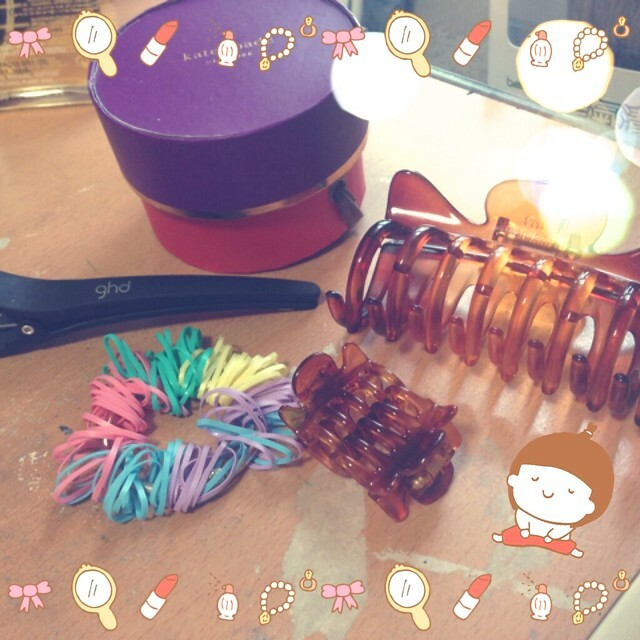 I use the big brown hair clip to section off my hair for blowdrying and heat styling. For the small brown clips, they keep my bangs in place when I need to go out. Since I got my lob now, those elastic thick hair ties that I used before cannot secure my hair in a nice pony tail. After braiding my hair, they keep falling off. 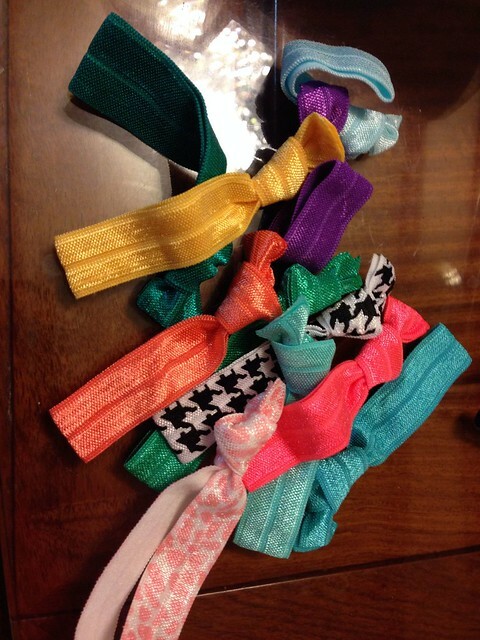 But those pastel plastic hair ties does not only look good, they also allow me to style my hair in different ways. All clips except the black one are from Korea. They are a little bit pricey but so far, they really secure my hair. All content © Copyright 2014 LazyDreamy22 unless otherwise noted. . Simple theme. Powered by Blogger.